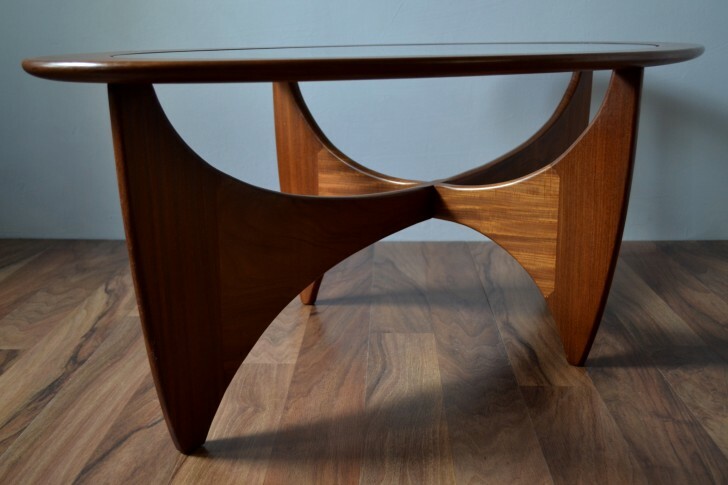 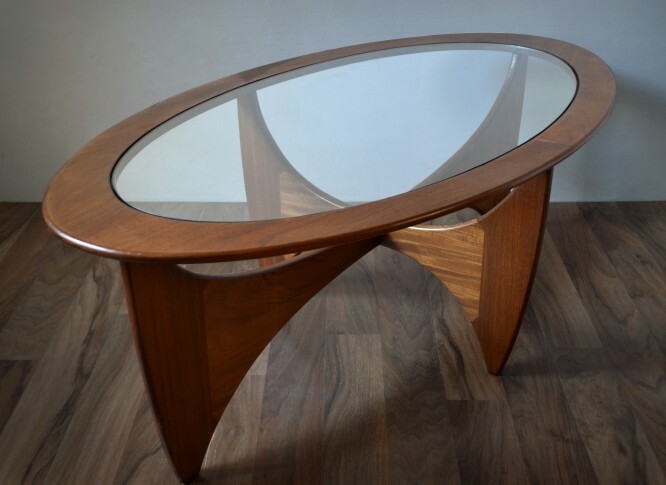 An iconic Mid-Century coffee table, designed by V B Wilkins for G Plan. 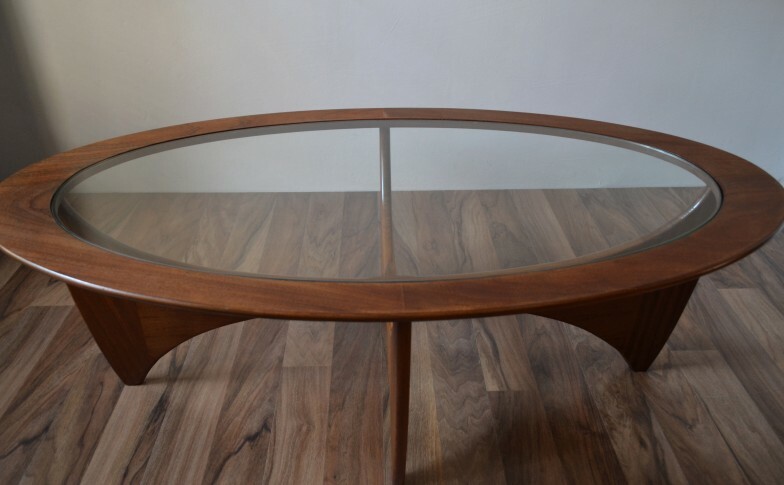 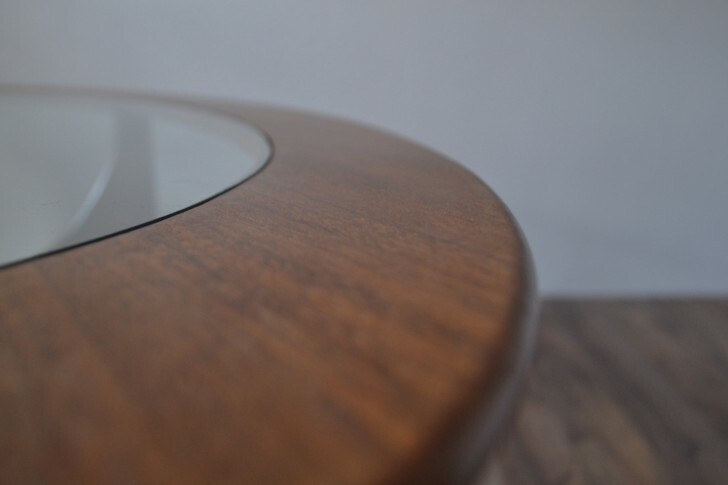 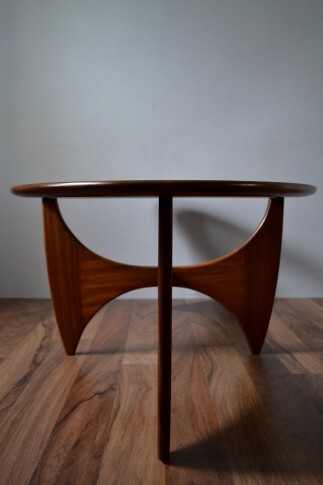 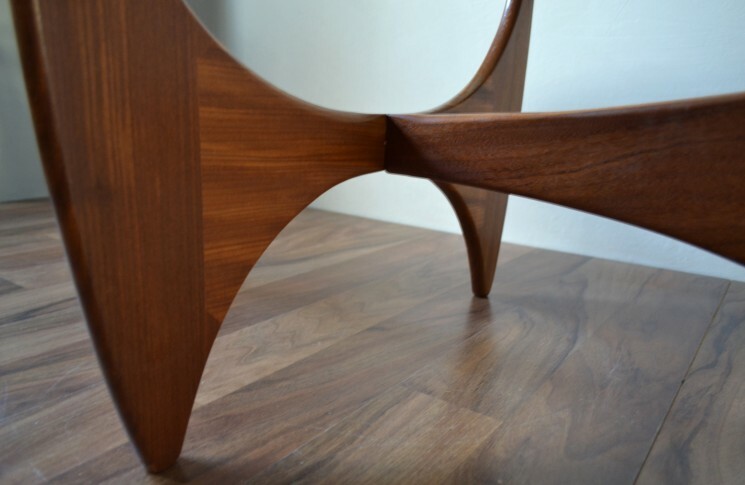 Constructed of beautiful teak wood with a glass top insert and sleek oval design, it is in very good condition (Some minor scratches, see images) and of high quality as commonly known for G Plan. 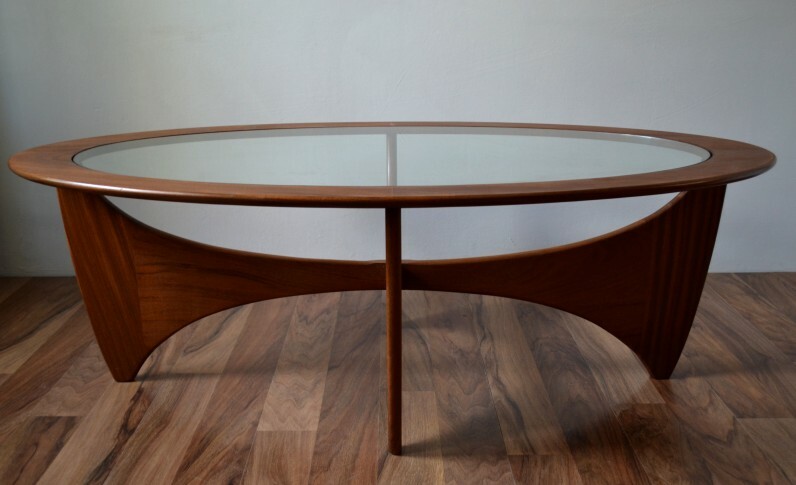 Great retro touch for any living area.